This is such a big subject that I’m focusing only on the two world wars of the 20th century. 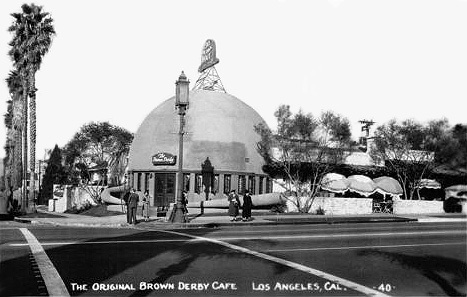 Both wars made restaurants more central to modern life. The restaurant industry emerged larger and with a more diverse patronage. It was more organized, more independent from the hotel industry, more consolidated, more streamlined in its practices, and less European in its values and orientation. ● The effects of World War I were felt before the US declared war against Germany in spring of 1917. Americans living abroad, such as artists in Paris, returned to the U.S. Some of them returned to Greenwich Village to develop and nurture something quite foreign here, namely café culture. ● In Washington DC, wartime bureaucracy required more office workers, increasing the ranks of working women, a new and lasting restaurant clientele. 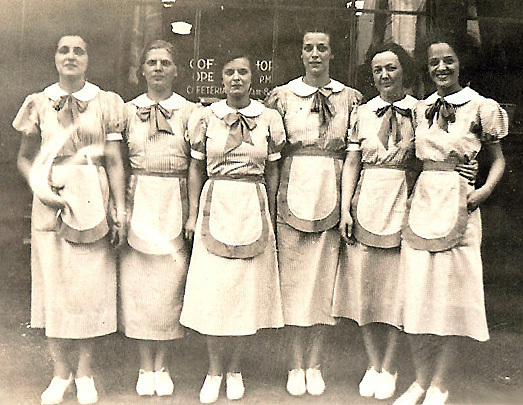 As the female workforce grew nationwide, women’s restaurant patronage from 1917 to 1927 went from 20% of all customers to 60%, and became foundational to the future growth of modern restaurants. Around the country low-priced restaurants accustomed to male patronage were forced to add women’s restrooms. ● Many foreign nationals who had worked as cooks, kitchen help, and waitstaff in restaurants left to join armies of their native lands. The restaurant labor shortage worsened when the draft began in 1917 and foreign immigration ceased. Immigrants were replaced by Afro-American and white women who migrated to cities. Serving in restaurants became female dominated. 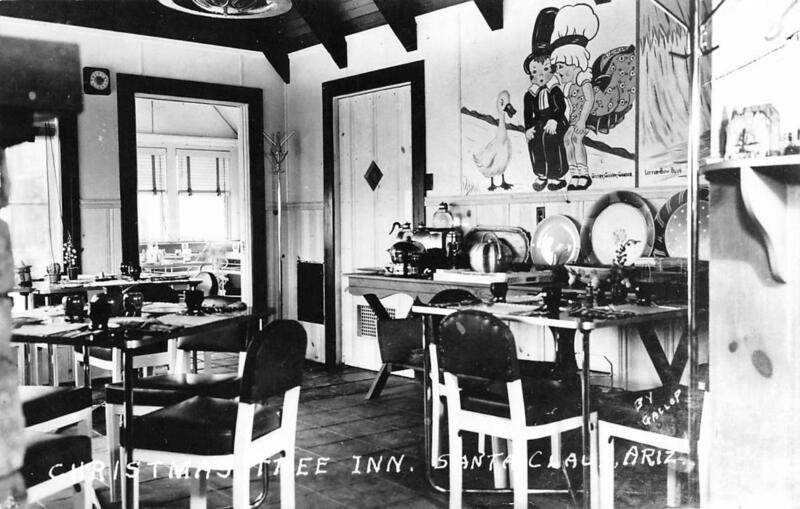 ● Wartime prohibition followed by national prohibition in 1919 dealt a blow to fine dining. The culinary arts of European-trained chefs fell into disuse as many elite restaurants closed after a few lean years. ● Immigrant tastes were reworked by WWI. 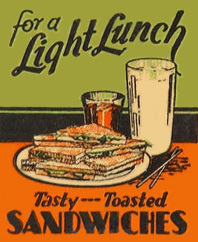 Those who served in the US military became accustomed to the American diet of beef and potatoes, white bread, and milk, as did Southerners used to “hogs and hominy.” Meanwhile on the homefront, certain “foreign” foods, such as pasta and tomato sauce, were admitted into the mainstream middle-class diet, in this case because Italy was an ally. 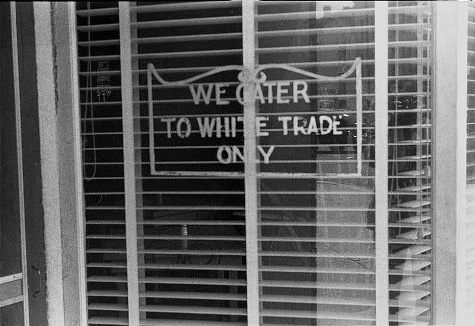 ● Wartime also stimulated a more business-like attitude on the part of restaurants which now had to work smarter to produce profits. They adopted principles of scientific management — for example, they began keeping books! And they standardized recipes to turn out consistent food despite changes in personnel. ● The decade after World War I saw the rise of sandwiches, salads, milk, and soft drinks replacing the heavy restaurant meals served before the war. ● During the Depression WWI veterans demonstrated and lobbied for their long-overdue soldiers’ bonuses. 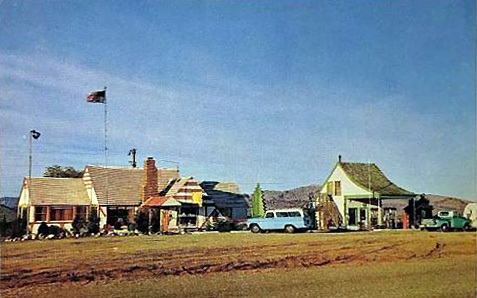 Many used the bonuses to open hamburger stands and other roadside businesses such as the Kum Inn on Long Island. ● Many of the same kinds of effects were felt after the Second World War, sometimes more strongly because of the increased duration of the conflict. Immigration came to a halt, furthering the “Americanization” of restaurants. Women trained in institutional management and home economics continued to enjoy expanded opportunities and prestige. Two home economists in Minnesota saw their quantity cooking manual adopted by the military. ● During the war, the average American patronized restaurants as never before. Southern California restaurants were overwhelmed as an estimated 250,000 workers in war plants who lacked housekeeping facilities turned to public eating places for their meals. ● Food rationing dramatically increased restaurant patronage. In January 1943 the Office of Price Administration announced that the public would not need ration coupons in restaurants. 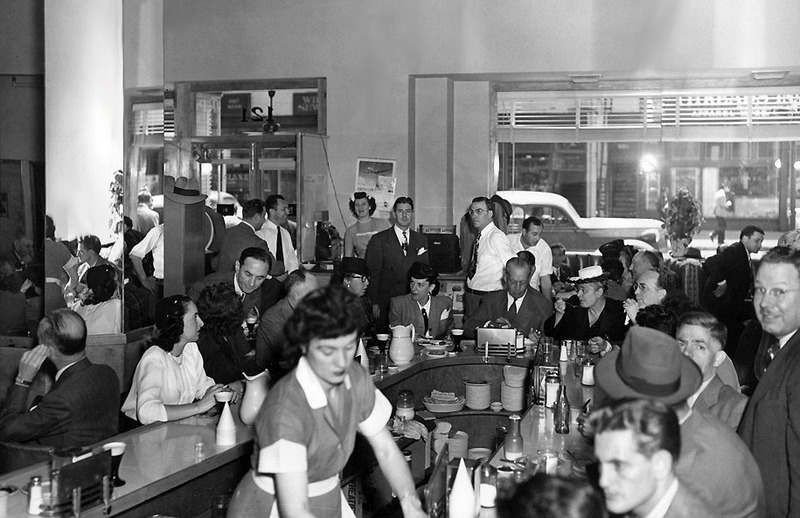 Within weeks after rationing began restaurants were mobbed. In Chicago, Loop restaurants experienced a 25% increase in business. By October of that year patronage in NYC restaurants had doubled. ● Also stimulating the eating-out boom were generous business expense accounts which, said the NYT, “grew into a fat-cat fringe during World War II.” These benefits were meant to compensate workers who could not be granted raises because of government-imposed wage and salary freezes and employers’ wish to avoid paying excess-profits taxes. To retain valued employees they instead gave pensions, medical care plans, stock options, and generous expense accounts. 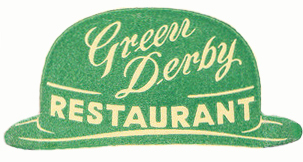 Expense accounts led to the creation of the first nation-wide credit card, sponsored by The Diner’s Club. ● Already in 1944 the National Restaurant Association was looking forward to augmenting short staffs with some of the estimated 300,000-500,000 military cooks and bakers to be demobilized at war’s end. Tuition under the GI bill lured thousands into further training as restaurant cooks, managers, and proprietors. ● Family patronage, encouraged by a wartime increase in employment of married women, continued to grow after the war. 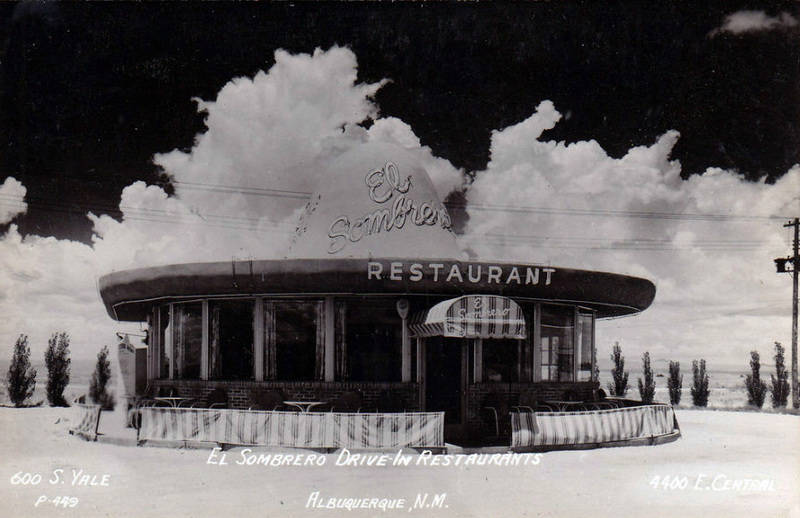 A trade journal counseled operators of suburban restaurants to “be especially nice to children.” In Denver, the average family was said to eat out three or four times a month, a rate unheard of before the war. 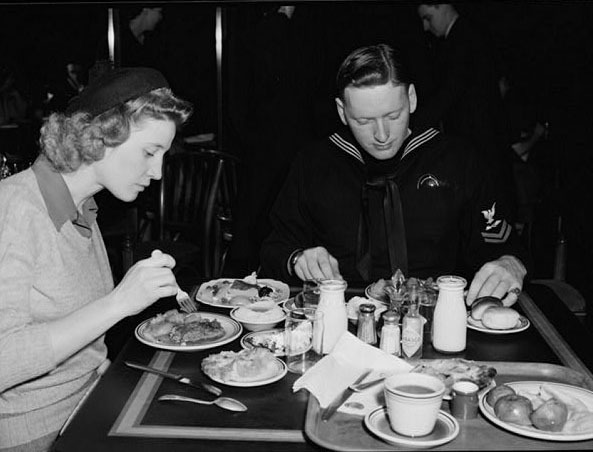 ● A number of common menu items can be attributed to World War II. Restaurant patrons learned how to eat lobsters, which were plentiful because they were not rationed. 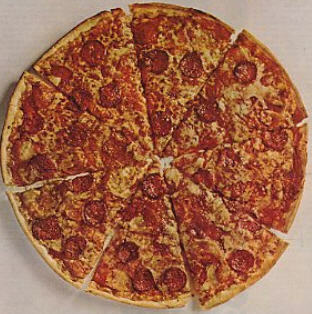 Pizza parlors proliferated because pizza was also simple to serve. Conscripted country dwellers were introduced to sea foods in military service. Veterans who had served in the South Pacific discovered a liking for Polynesian food. ● War spurred the use of new food products by the military, including frozen food. In a remarkably short time, the restaurant industry, which had previously preferred fresh to processed food, adopted frozen foods and by 1955 they accounted for 20 to 40% of their supplies. With the rise of frozen food and other war-facilitated convenience foods came restaurant stalwarts of the 1960s: French fries, breading mixes, and cheese cake. ● Along with frozen foods came new technologies for their preparation, in particular microwave ovens and quick-recovery griddles, both military spinoffs. The RadarRange, presented at the National Hotel Exposition in 1947, was developed by Raytheon using principles of infrared technology developed during the war. It not only permitted food to be cooked lightening fast but also made reheating pre-cooked frozen entrees possible. Another marvel was the Rocket Griddle which featured fast heat recovery that enabled frozen food to be cooked without defrosting. ● The development of the air freight industry following WWII, stimulated by the availability of trained pilots and surplus airplanes, permitted restaurants to obtain foods from locations around the world. A restaurant called Imperial House in Chicago was approached by two former Air Force fliers who proposed to fly in king crabs from Alaska by freezer plane. 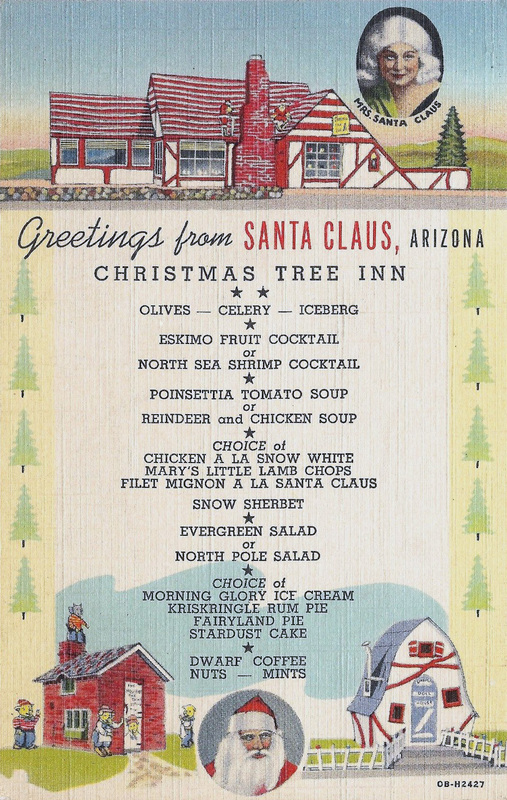 By 1952 the restaurant was bringing strawberries from Florida and California, bibb lettuce from Kentucky, salmon from Nova Scotia, pheasant and venison from South Dakota, grouse from England, and paté from France. ● Last but not least, the ideal of organizational efficiency was stimulated by both wars. 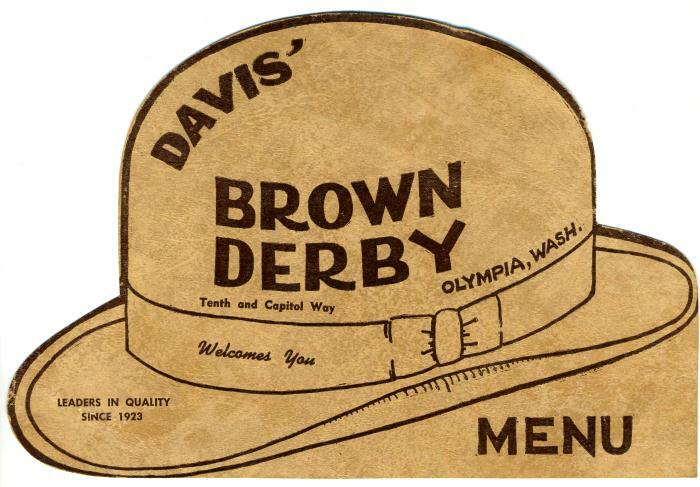 The World War II postwar period saw the rise of a much larger food service industry. And, of course, this brief survey is far from complete. The model tea room proprietor has generally been portrayed as a woman of taste and refinement who has a heightened aesthetic sense, is congenial, and knows good food. In short, she closely resembled the ideal of the early 20th-century wife. So it comes as something of a shock to discover a tea room proprietor whose life did not neatly conform to that ideal. 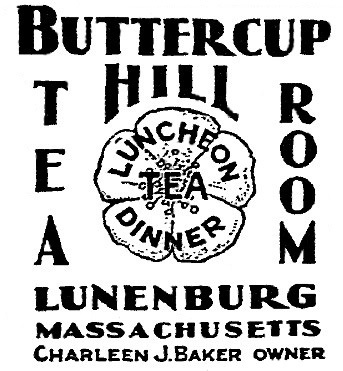 An interesting example of someone who only partially conformed to the ideal was Charleen Baker, proprietor of the Buttercup Hill Tea Room near Fitchburg MA from 1928 to 1943. She had taste, she was a successful hostess, and she knew good food. Her menu, filled with dishes such as Duck a la King, Sauteed Sweetbreads, and Lobster Newberg, bears that out. 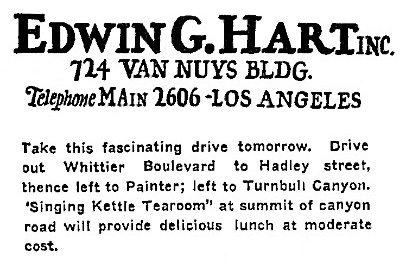 Her tea room was recommended by Duncan Hines in the 1937 edition of Adventures in Good Eating. But how successfully did she personify refinement? On the one hand, she portrayed herself as a product of a patrician background. In her 1935 cookbook she subtly painted a picture of her life and world that began with childhood cooking lessons from her southern Mammy, Aunt Maria. She explained that her mother had taught her that thin biscuits revealed a family’s “fine lineage,” as was true in her family. Presenting herself as a dutiful young wife, she described how hard she had worked to please her husband, on one occasion baking three different “lemon sponge pies” before she produced one “good enough to set before the king.” And she included a chapter on “Sunday Night Suppers” which assumed that, even in the Depression, the lady of the house had a maid who cooked — and took Sundays off. 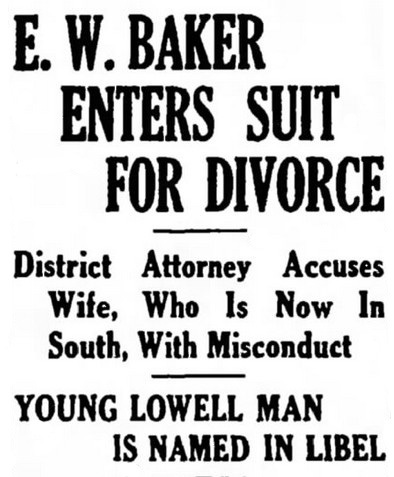 Yet – big surprise – I discovered that her “king” had tried to divorce her in 1923, resulting in a sensational headline in the Fitchburg Sentinel as well as the Boston Herald. Her husband also accused her of abandoning their hospitalized son while she vacationed in Florida. She then filed a reply, producing another zinger headline, “District Attorney Charged With Unfaithfulness In Answer By Wife.” Each charged the other with having multiple partners. 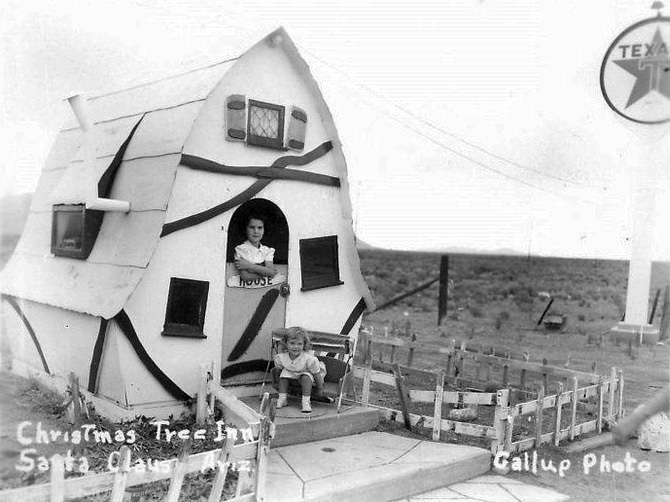 Upon further research I learned that in 1900, far from enjoying a life of leisure and refinement in the South, the 13-year-old Charleen had lived in a miner’s boarding house in Tortilla Flat, Arizona Territory, with her mother and her stepfather (#2 of her mother’s four husbands) who ran the place. Upon her stepfather’s death in 1903, she and her mother moved to Fort Worth TX where they resided in a lodging house run by her mother. How she made her way from a Texas boarding house to studying voice at the New England Conservatory of Music in Boston I don’t know. While in Boston she met her future husband, Emerson, then a Harvard law student. They married in 1907 and settled in the Fitchburg area where Emerson joined his father’s law firm and later the district attorney’s office. Remarkably, Charleen and Emerson reconciled later in 1923 and he assisted her in enlarging her tea room, which by 1931, when the Early American Room was added, seated nearly 160. The couple’s marriage continued until his premature death in 1934. Two years before that Charleen had taken over the Green Parrot Tea Room in Winter Park, Florida, redecorating it in blue and orchid and calling it Charleen’s Tea House. Buttercup Hill stayed open from May through October, while Charleen’s in Florida was open the other months. Due to wartime gasoline rationing that caused a fall off in customers, and to difficulties getting staff, Charleen closed the Buttercup in early 1943. She auctioned off furnishings that included old cradles, antique clocks, hooked rugs, and Currier & Ives prints. From everything I’ve read about her, Charleen was successful in winning status as an admired figure in Fitchburg society. 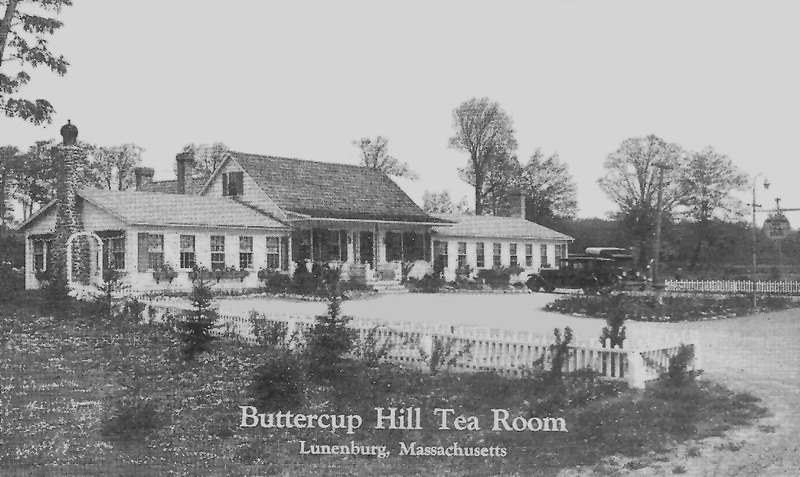 After she sold the Buttercup several other owners operated the complex of buildings as a tea room while continuing the practice of serving cocktails that Charleen had begun in 1938. 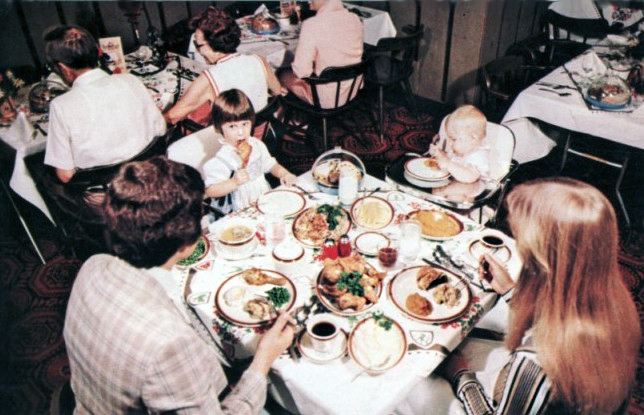 After the WWII the name was changed to Buttercup Hill Steakhouse and Club and it continued into the 1970s. There is little glamour surrounding the operation of most restaurants. They demand hard work, long hours, and relentless determination. Few stay in business long or bring their owners great riches. All of these observations apply to the Lunch Box. Except one. The Lunch Box stayed in business for 35 years, becoming a well-loved stopping place along the road in the small Western Massachusetts town of Williamsburg. 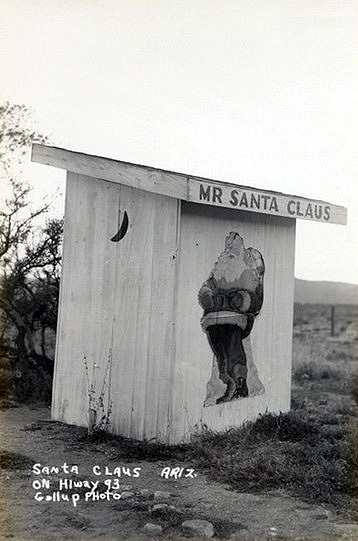 After that, he no longer had to worry about overuse of the restrooms. 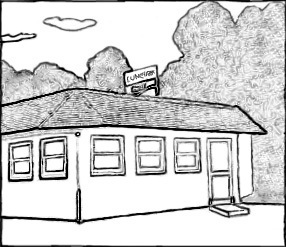 In 1968 Thomas bought the small roadside restaurant that had begun in 1949 as a hot dog stand. 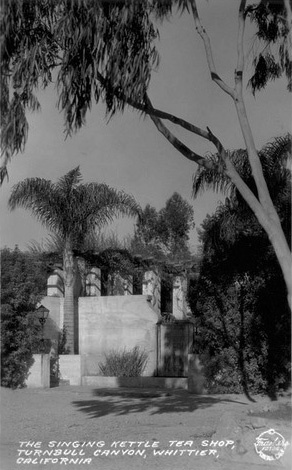 Since then it had been enlarged [see below], never quite meeting the building standards he would have liked. Thomas, like the owners of so many modest eating places, had been disappointed working for others and was strongly attracted to the risky idea of having his own business. 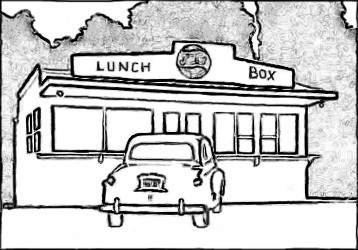 Given the woeful condition of the restaurant, along with considerable misery in the lives of previous owners, the Lunch Box seemed overrun with risk and negative vibes. But that didn’t stop him. In addition to hooking up to a sewer line, he also discovered in the early years that he needed to install a grease trap. For 35 years he cleaned it himself, an arduous task since it was located in a crawlspace under the building. “I had to crawl under and take the trap apart, take the pieces that needed to be cleaned and drag them outside, clean them and then crawl back under to put the trap back together,” he explained. He also spent many an hour defrosting frozen water pipes. The small kitchen, with a ceiling “so low that a person six feet tall would have to bend over to use the stove,” was equipped with an “apartment size gas stove.” The original cash register could not ring up an order over $5, and had to be supplement with an adding machine to total checks. Shortage of capital meant that major improvement projects had to be deferred, particularly when it came to solving the building’s heating and cooling problems. “We were always cold on really cold days and hot on the very hot days,” he wrote. Thomas took great pride in his other roles, admitting – rather surprisingly — that “The most rewarding in my judgment and the most important aspect of my life outside of my family was my time serving as a firefighter/EMT.” I was surprised that he did not cite the restaurant. He worked as a firefighter and EMT in both Williamsburg, where the Lunch Box was located, and in neighboring Goshen, where he lived. And he served as a Goshen Selectman for years. 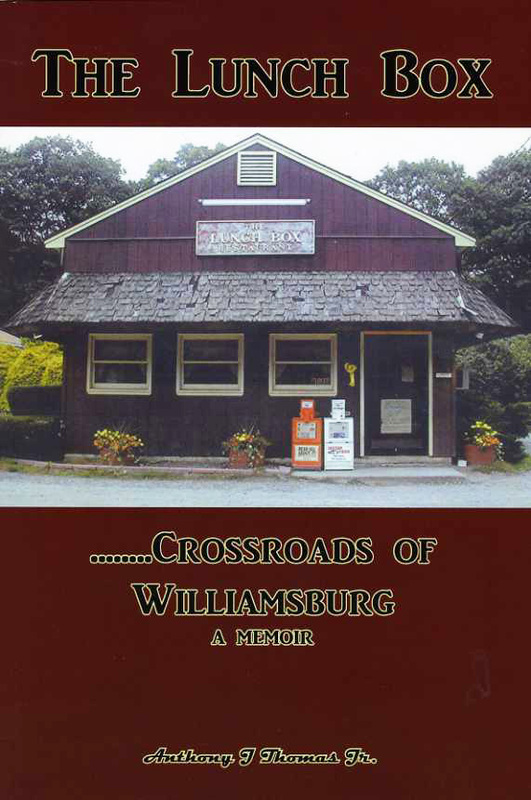 He inherited the cafe’s reputation as a “woodchopper’s diner,” but he improved the quality of its comfort food menu by using fresh local produce whenever possible. He took great care in testing brands of coffee before selecting one. He saw to it that soups and pies, previously purchased, were made in house. 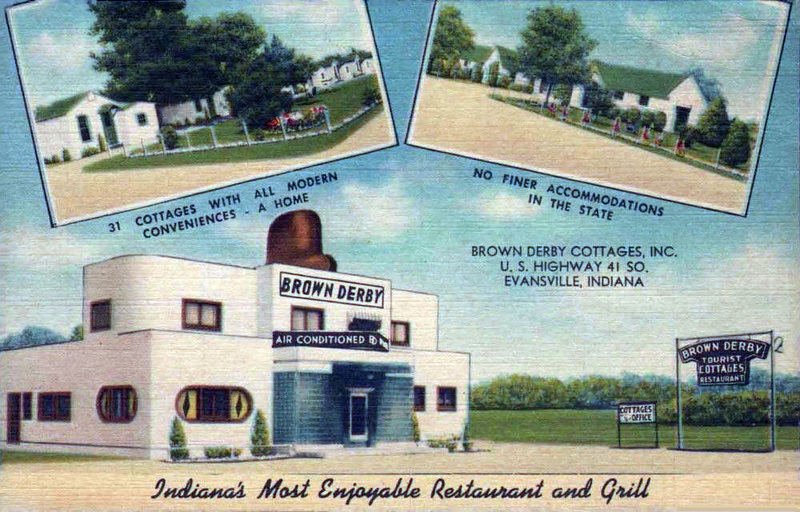 The Box’s comfort foods, such as shepherd’s pie, macaroni and cheese, and meat loaf, drew locals, public officials, police, truck drivers, woodsmen, and a wide range of others including a few who traveled some distance to eat there regularly. The word “carhop” is almost certain to bring to mind a teenage girl dressed in a brief costume, possibly on roller skates. Ever since the George Lucas movie American Graffiti in 1973, the female carhop has become an icon. 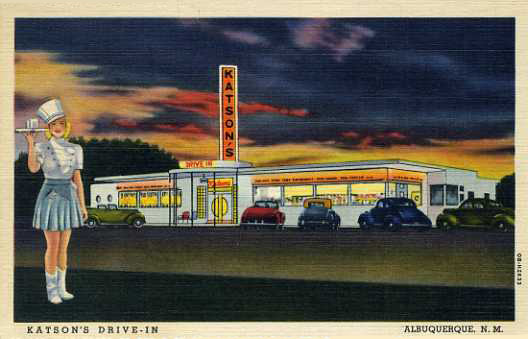 She is an object of nostalgia, even for those too young to have experienced drive-ins with carhops. 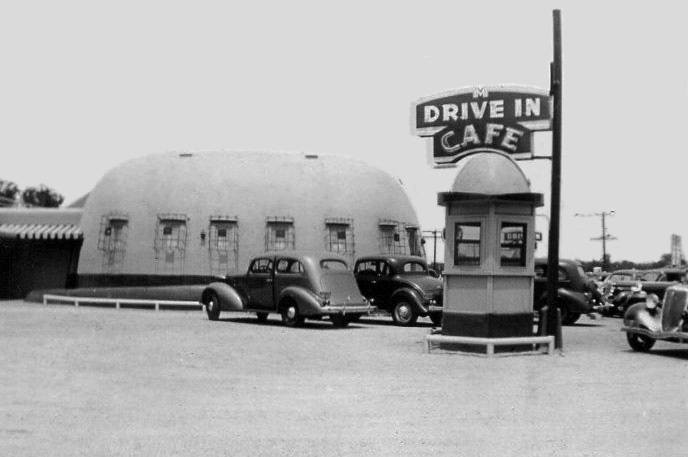 By the late 1930s teenage girls and young [white] women (25 at the very oldest) were commonplace in Texas and California drive-ins and were the subject of quite a bit of turmoil. They worked long hours, often until late at night. 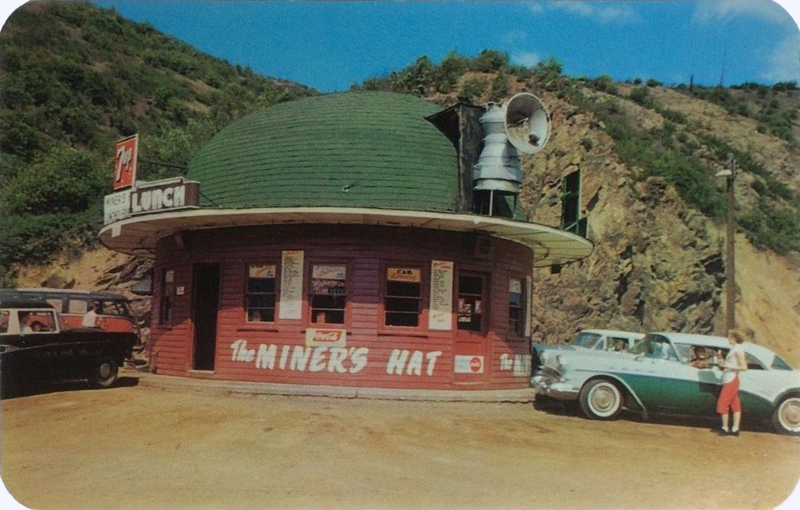 In many cases, they not only delivered sandwiches to customers, but also beer, sometimes working for drive-ins that were more tavern than restaurant. 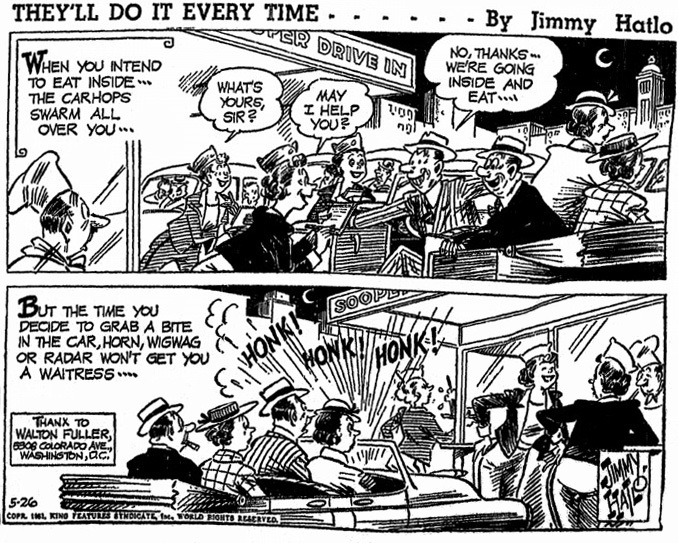 Issues surrounding female carhops came to a head in Texas and California in 1940. In January California’s chief of the Division of Industrial Welfare ordered 30 drive-ins to pay carhops the state’s legal minimum wage for women which was $16 a week. 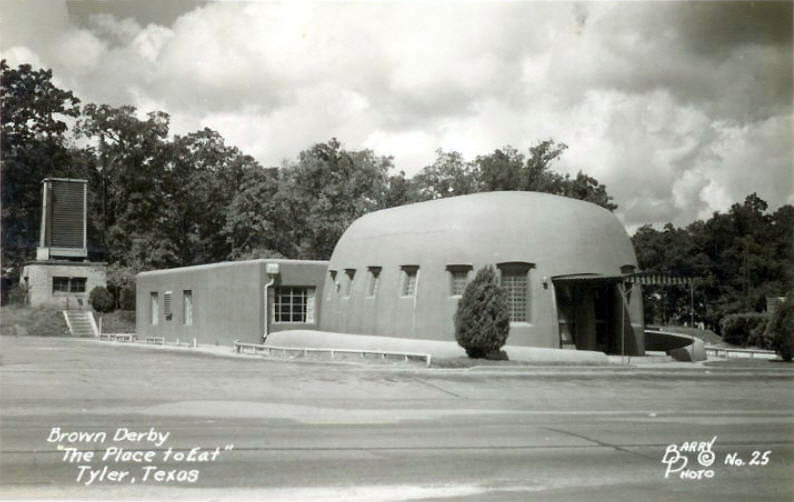 The drive-ins reacted negatively, being accustomed to paying no wages at all – carhops worked for tips only — as well as charging carhops for uniforms and meals. The Industrial Welfare head, a woman, threatened to arrest drive-in operators who failed to comply. Over time the campaign for modest dress for carhops met with more success than did the attempts to win wages for California carhops, or to unionize carhops in Dallas. In Texas, the state Restaurant Association denounced skimpy outfits and declared bare skin a violation of the state’s sanitary laws. The public, led by women and church leaders, grew more supportive of reform. 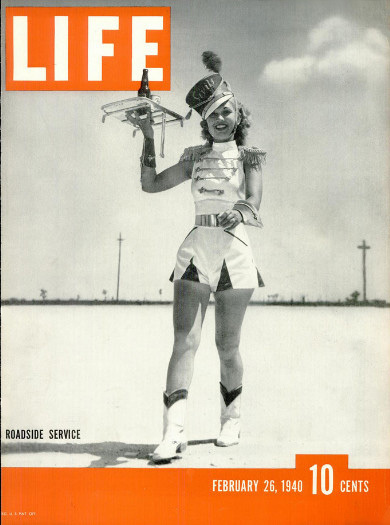 With drive-ins in Houston and Dallas, one of the state’s largest operators, Sivils, agreed in 1942 to abandon shorts and bare midriffs for knee-length skirts and waist-long jackets. 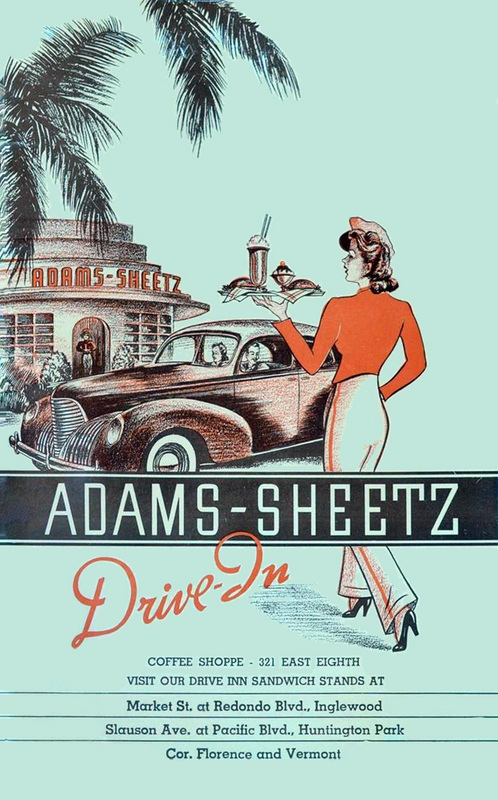 Other drive-ins followed their example, many dressing carhops in blouses and slacks. Meanwhile, drive-in owners in California went to court for a permanent injunction against the minimum wage order issued by the Industrial Welfare Commission. A judge ruled in their favor after they brought in more than a dozen carhops who testified they made from $25 to $70 a night in tips. A campaign to organize carhops at Sivils in Dallas likewise met defeat. 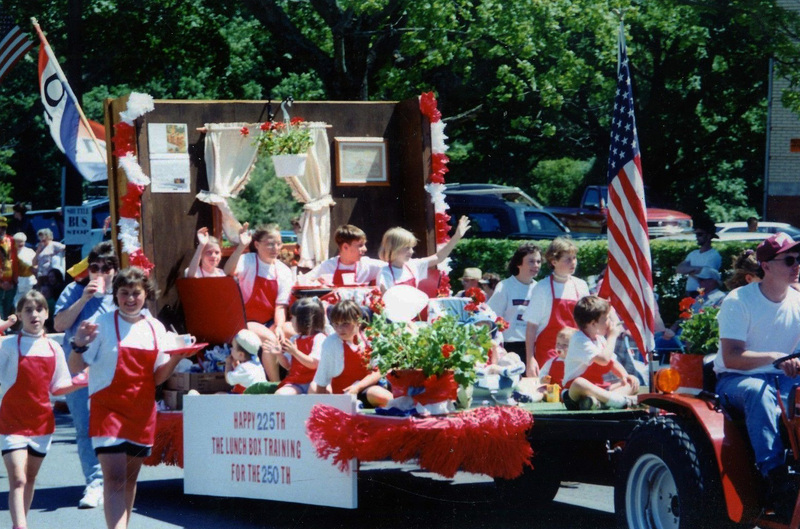 Although the carhops voted for unionization, demanding a salary of $3 a week, a daily meal, and free uniforms, Sivils flatly rejected their vote. In the course of the struggles new facts about carhops emerged. Far from carefree many of them were parents who, even if married, needed to work to support their families. 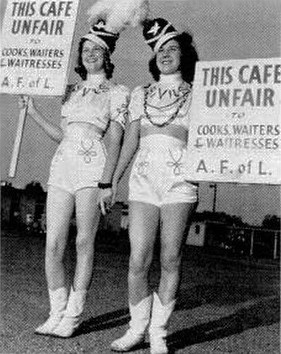 A bitter letter testifying to this appeared in May, 1940, signed “two former carhops.” The women wrote that carhops dressed in shorts and grass skirts “are at least coming nearer to making a living wage than at any other time of their existence” while the women who complained about their outfits did not have to work for a living. They argued that without big tips, some carhops would become streetwalkers. Big tips or not, serving customers in cars could be a trying experience, and the turnover rate among carhops was high, with many lasting only a few weeks. 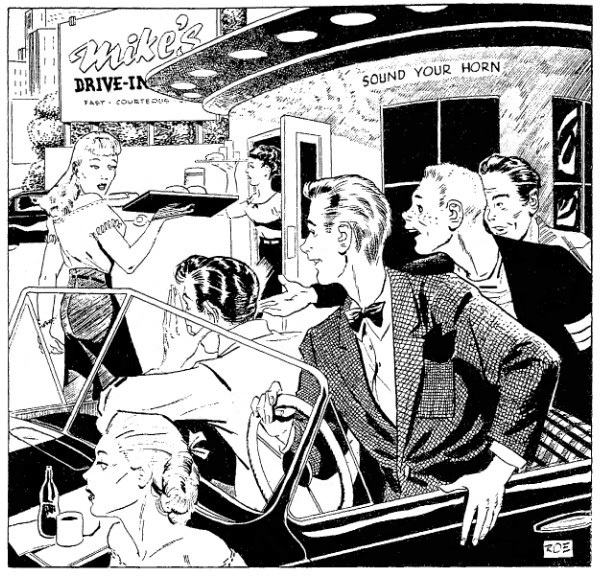 A 1957 column in Drive-In Restaurant, a trade magazine, revealed how carhops characterized customers: The Food Refuser, The Horn Blower, The Souvenir Seeker, the Breakage Fiends, The Deadbeats, The Wolves. As the last implies, attention from men was not always enjoyable, and sometimes it was dangerously hostile. In 1953, there was an instance of boys driving by a drive-in pelting girl carhops with gravel in Sacramento CA. A few carhops even met their deaths from obsessed customers. Although drive-ins with carhops can still be found today in some places, elegies for them began in the 1970s, American Graffiti being a prime example. Carhop fiction is more entertaining, but recognizing the difficulties carhops experienced in doing their jobs is, in my opinion, a better way to acknowledge them. 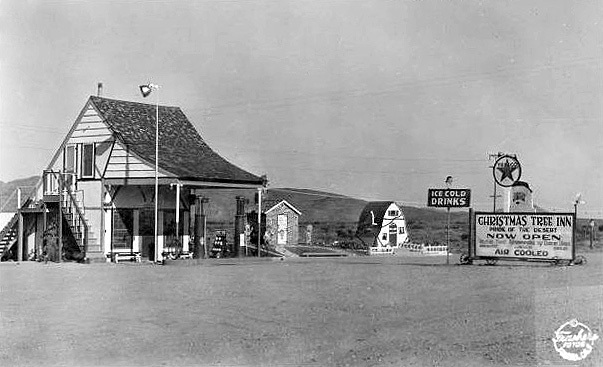 A veil of ominous mystery has spread over the remains of a California roadside tea room once known by the homey name Singing Kettle. 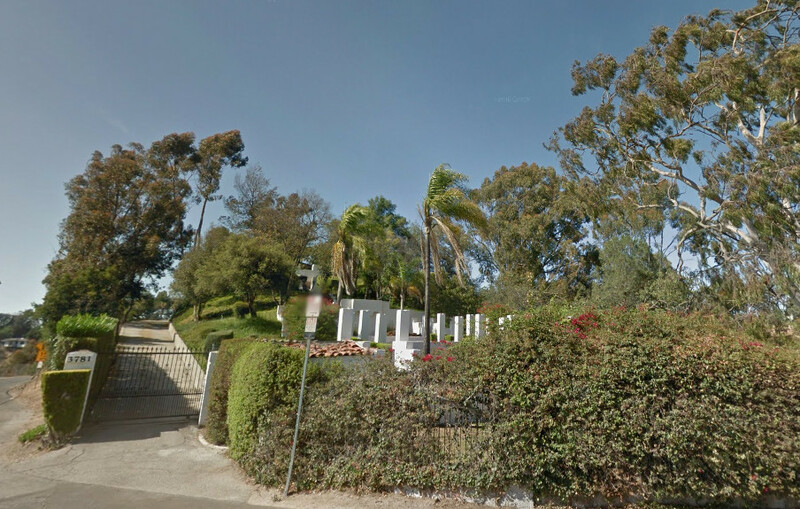 It was located near the summit of Turnbull Canyon, high above the San Gabriel Valley, on a winding road running through the Puente Hills in North Whittier. The road was completed in 1915, opening up a route filled with what many regarded as the most impressive views on the entire Pacific Coast. Today young people drive into the “haunted” canyon at night determined to be frightened to death. Gazing out car windows they eagerly tell each other tales they’ve heard of satanic rituals, murders, and human sacrifice, hoping that behind that fence are unspeakable horrors they might be lucky enough to witness. 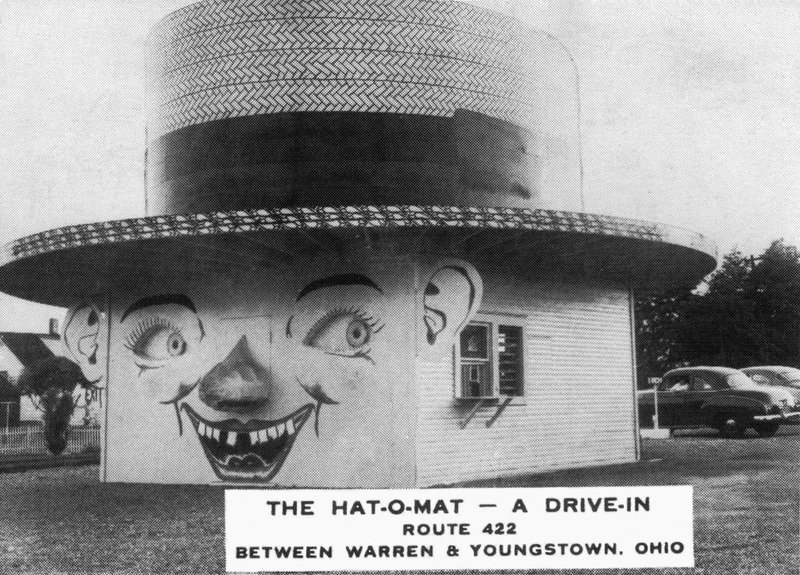 Even the Singing Kettle tea room, perhaps because remnants of its entrance are visible from the road, has become enmeshed in dark fantasies. Because it strikes me as funny that a tea room from the 1920s and 1930s could be associated with horror and paranormal events. Or even that people would find its existence mysterious, wondering why it was ever there or what it really was. I suppose that given enough time and imagination mysterious auras can envelop any mundane place, even a deserted mall or a parking garage. But still, finding a tea room scary is like being frightened by a club sandwich. I have experienced a somewhat similar attitude before. I gave a talk on tea rooms of New York City when my book Tea at the Blue Lantern Inn came out in 2002. Afterwards a man in the audience came up and asked me why I didn’t mention the darker aspects of tea rooms. He was certain that a lot of them had been speakeasies and houses of prostitution. Really? If that had indeed been the case, why would I not have mentioned it? It would be a good story. I’ve found no evidence of prostitution in tea rooms. Only rarely were tea room proprietors found selling liquor during Prohibition. 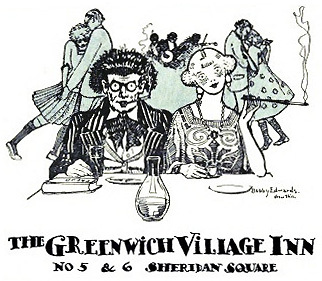 A few places in Greenwich Village were raided in the early 1920s, and here and there the mob would open a joint and call it a tea room, though that was purely a ruse. I feel certain it was impossible to order a diet plate or a Waldorf salad in a mob tea room. 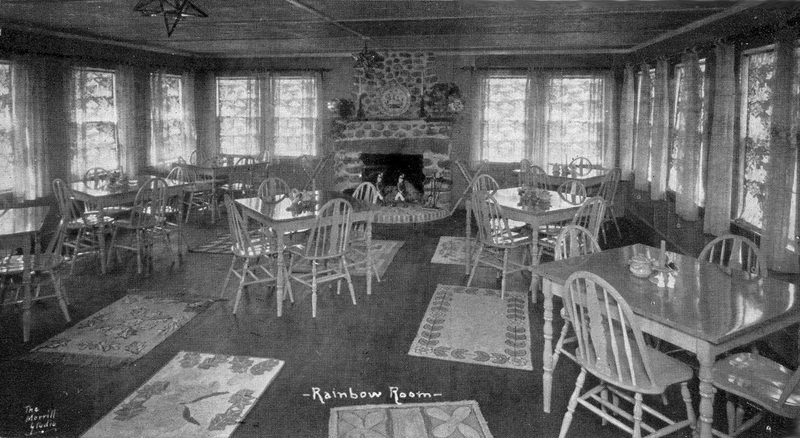 The dining area of the Singing Kettle tea room was up the hill from the pergola entrance shown on the black and white postcard above. 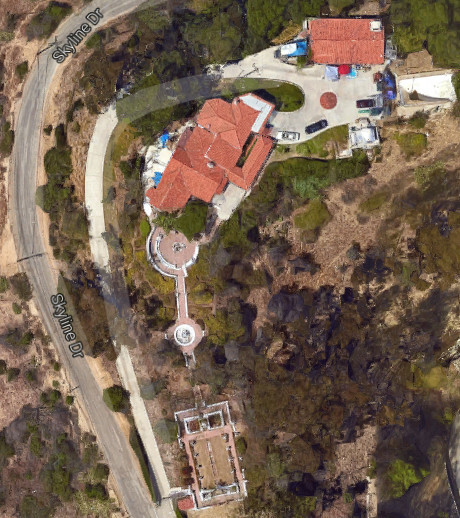 As can be seen from a bird’s-eye view of the property, terraced stairs with fountains and shrubbery led up to the main tea room which today appears to be a residence. The view while dining would have been spectacular. 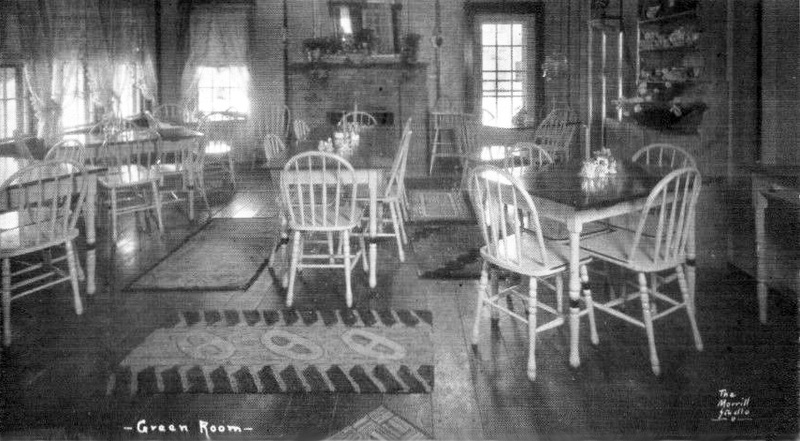 The tea room was frequented by students and staff from Whittier College, the Whittier Chamber of Commerce, and women’s clubs. 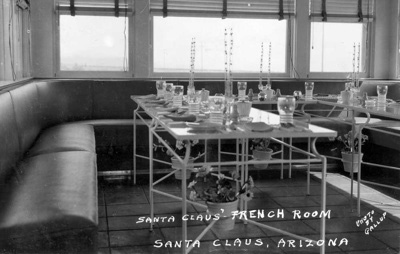 It was a popular place for business meetings, card parties, wedding receptions, and bridal showers. Weddings were held in the inner courtyard of its entrance pergola. The Singing Kettle was in business from 1927 until at least 1936, but probably not much longer. It surely would not have survived gasoline rationing during WWII. With many thanks to the reader who told me about the Singing Kettle.